According to the American Heart Association over 64 percent of Americans are overweight or obese. Fad diets, exercise programs, low-fat foods and meal replacement options abound, yet the majority of the population continues to live unhealthy lifestyles as solution after solution for weight-loss fails. Measure Up Bowl is a unique new way to take control of eating habits. In today�s society of gigantic restaurant and super-sized value meal portions knowing how much is truly the right amount of food to be consuming can be confusing. Measure Up Bowl is a porcelain bowl with incremental premeasured portions on the interior of the bowl. Most people cannot afford to hire a nutritionist and chef to regulate and monitor what and how much they are eating at each meal. Measure Up Bowl takes the place of costly grown-up �babysitters� and serves as a constant wake-up call at meal and snack time. Rather than justifying eating just a bowl of ice cream versus consuming the entire container, Measure Up Bowl alerts you to exactly how much food you are eating as you dish it out. Measure Up Bowl is available in two sizes. 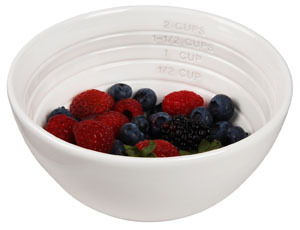 The Classic Measure Up Bowl features � cup, 1 cup, 1 � cup and 2 cup measurements and the Small Measure Up Bowl, designed for calorie-dense, high-fat foods, such as nuts, desserts and granola ranges from � cup, to � cup to � cup portions. For more information and to take control of you health and weight-loss by ordering your Measure Up Bowl today, please visit www.measureupbowl.com. The Classic Measure Up Bowl retails for 19.99 and the Small Measure Up Bowl for 13.99. The bowls can be purchased as a set for 29.99. Measure Up Bowl is also available at Target.com. Visit www.measureupbowl.com. The Eco-Dentistry Association� (EDA), an international association promoting environmentally sound practices in dentistry, announces a powerful new offering for dental professionals. The EDA�s GreenDOC� Dental Office Certification Program is the only green business certification designed specifically for dentistry. The program provides everything dentists need to achieve their perfect shade of green. Transcendentist in Berkeley, Pure Dental in Dallas and ORA Dental Studio in Chicago became the organization�s first recipients of GreenDOC certification. The EDA announced the first Charter-Certified Offices at the Chicago Mid-Winter Dental Meeting in February 25-27, 2010. The GreenDOC� Checklist of Standards for Green Dental Practice is the foundation of the GreenDOC� program, providing comprehensive eco-friendly initiatives in eight implementation categories. The GreenDOC� Checklist is available to EDA members on the Association�s website at www.ecodentistry.org/GreenDOC. The GreenDOC� Product Guide is the industry�s comprehensive listing of products and services that green dental offices need to go green and stay green. The EDA has sourced the products and services that share a vision for clean, green dentistry, making it easy for dental professionals to achieve earth friendly initiatives. Products and services appear in one or more of the following GreenDOC� categories: Sustainable Location; Waste Reduction; Pollution Prevention; Energy Conservation; Water Conservation; Patient Care, Workplace Policies, and Community Contribution; Leadership, and Innovation. Additional components of the GreenDOC� Program lead dental practitioners through a rigorous but attainable certification program. GreenDOC� �How To� Guides, Action Plans and Worksheets make it simple for dental professionals to meet specific goals to achieve Bronze, Silver, or Gold Certification. As a part of the program�s international launch, the EDA encourages dental offices to register to be one of the 1st 100 certified offices and become a Charter-Certified Office. A Cedars-Sinai Heart Institute cardiologist co-authored the joint science advisory issued by the American Heart Association and the American College of Cardiology that calls for close monitoring of patients taking certain blood sugar-lowering drugs. Sanjay Kaul, M.D. co-authored the advisory about drugs called thiazolidinediones (TZDs) such as pioglitazone (Actos) or Rosiglitazone (Avandia). The advisory � published online in both Circulation: Journal of the American Heart Association and Journal of the American College of Cardiology -- states that the data are inconclusive on heart risks associated with the medications, but all patients taking the drugs should be closely monitored by their healthcare providers. The U.S. Senate Finance Committee released a report earlier this month that called into question the safety of the diabetes drug rosiglitazone, citing the possibility of an increased incidence of adverse cardiovascular events. Resulting news coverage caused confusion among diabetes patients and their caregivers. For the complete guidelines, please visit http://americanheart.mediaroom.com/index.php?s=43&item=966 or http://www.acc.org/qualityandscience/clinical/TZD_Science_Advisory.pdf. No matter what �green� means to you�envy, eco, or Eire�The A Position.com has a golf course that hews to the hue. The latest installment of �The A List,� a monthly compendium of expert golf and travel info and opinions, is out for spring, listing the �greenest� courses in the world. What do the writers at The A Position mean by �green�? Color them open-minded. For St. Patrick�s Day, green looks across the sea to Ireland. In the spirit of the season, it can help save the Earth. Green can also mean envy (those courses you most want to play), good value (courses that save you some green), or grass so verdant it shocks your eyes. It can even involve a putting lesson. The greenest courses range from the United States to Europe to the Caribbean. They encompass the fanciest resort layouts and the most humble nine-holers in iconic locales and places most golfers have never heard of. Whatever your favorite shade of green, The A Position has a course to dye for, covering the spectrum from emerald to aquamarine. The A Position.com is a network of websites featuring the world�s best golf and travel writers. The term �The A Position� refers to the ideal place a golfer can land his tee shot. On the web, it refers to the site readers will want to land on for great golf and travel journalism. Cypress Point makes me green with envy�of the fortunate few who get to play there once, let alone on a regular basis. 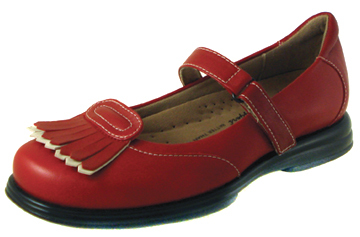 This selection takes the high road�green as in socially responsible and highly eco-conscious . 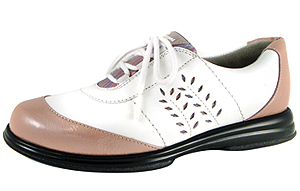 If you know how important a comfortable golf shoe is to your game, and you have not discovered Sandbaggers, you need to go to www.hersandbaggers.com immediately. 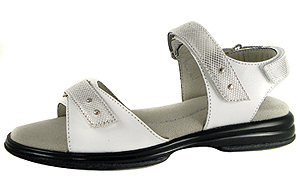 These shoes are not only like wearing bedroom slippers duing an eighteen hole trek, they are totally chic, and come in a bevy of designer styles and colors. It's nice to be a good gal golfer...it's really nice to be a chic good gal golfer...they're all watching!